Kaspersky is global cybersecurity company and an anti-virus provider. They are also one of our strategic content partners. Through a growing partnership, infogr8 have developed a lean streamlined content process for our partner. 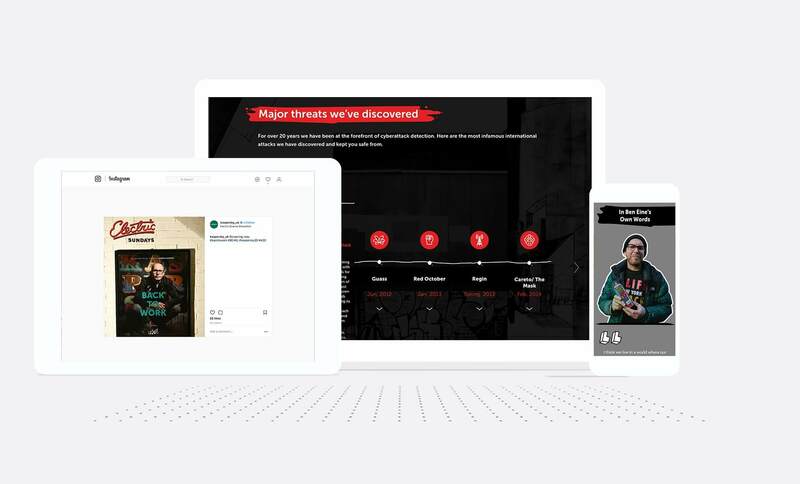 Working together we have created content that is flexible enough to use at different touch points, consistent and clear and that is succinct, visual and digestible for all audiences. 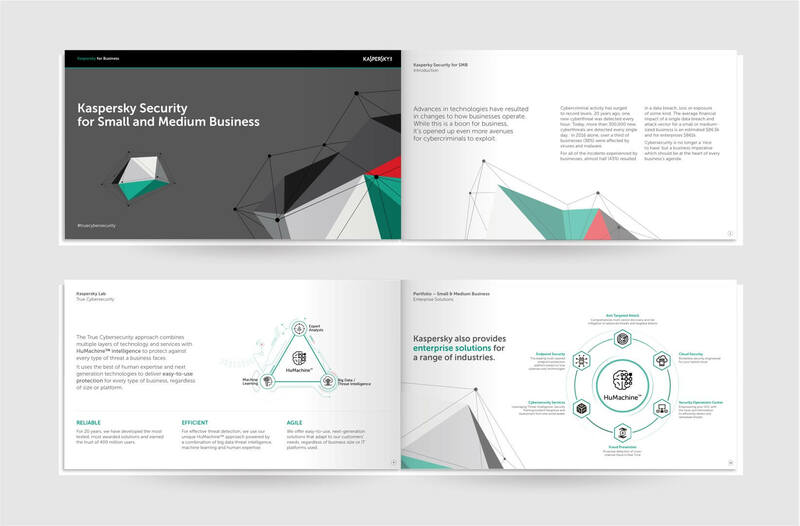 The 20th Anniversary of Kaspersky provided an excellent opportunity to refocus the brand’s core messaging, remind customers of their accomplishments and provide an insight into where the brand plans to go in the future. We developed a home for the celebrations with an interactive timeline bringing the legacy of Kaspersky to life alongside artist Ben Eine. Infogr8 are experts in B2B content marketing. Kaspersky leaned on our expertise. We created a rigorous B2B campaign strategy, advising on how to maximise the opportunities of their marketing communications- from print to digital. Infogr8’s editorial team created compelling content to engage audiences throughout the entire purchase funnel.